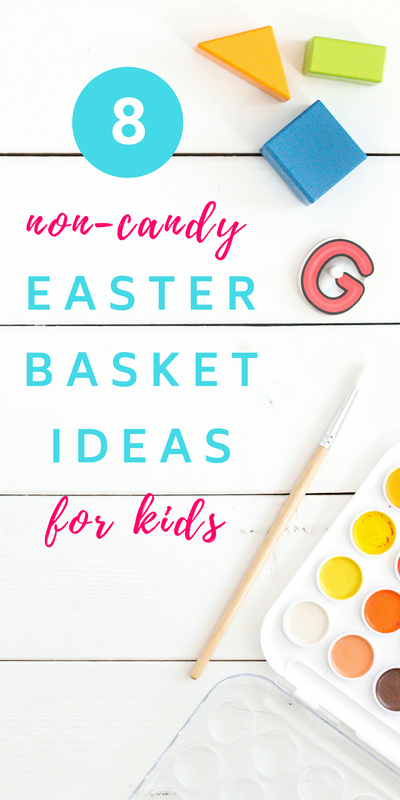 Easter is right around the corner… and I’m looking for the best non candy Easter basket ideas that prep fast! I don’t know about you, but it’s one of those holidays that I NEVER prep in advance for. But since it falls on my birthday this year, I wanted to get everything ready so I wasn’t running around like a frazzled mess the night before. And listen up mama, I did it all in like 15 minutes (thank you, Amazon Prime). Even though I’m dishing out some non candy Easter basket ideas below, we of course also do a chocolate Easter egg hunt around here! I grabbed one big bag of chocolate eggs and one big chocolate bunny for each kid at the grocery store. Easy peasy. But besides the chocolate, I like to prep an Easter basket. I like to throw some books into the mix during their Easter hunt. We definitely don’t need more toys, but always love to add to our library! I grabbed this book for Maya (we have some of the others in this series and LOVE them). And James is OBSESSED with the Llama Llama books (every night before bed, “llama llama?”), so I grabbed him this one, which we don’t have yet. My kids are obsessed with colouring. 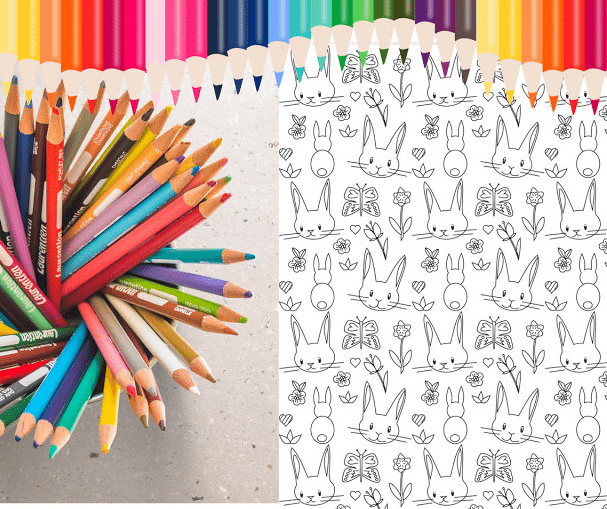 There are a ZILLION free colouring pages on the internet. A simple google search brings them up! I printed a bunch out and then stapled them together into little booklets for each kid. And I printed a few from here, too. We can always use new markers around here. I like the Crayola pip squeak ones for our 2-year old, and these regular Crayola for our 4 year old. ALWAYS the washable ones, mamas! #4 Supplies for an Easter craft. 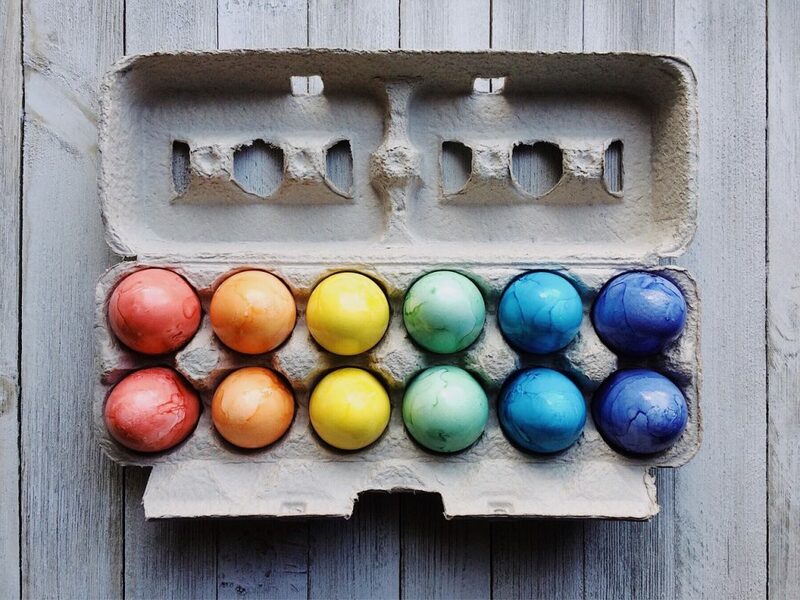 I wanted to have a craft we could do with the kids on Easter day, but as much as I have great intentions of doing amazing Pinterest-worthy stuff, it just doesn’t always happen. 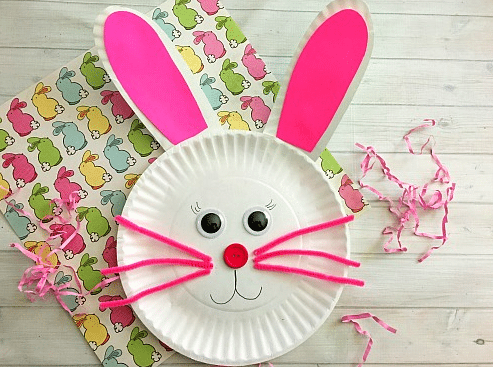 These pie plate bunnies from A Cultivated Nest require basically no prep, and make a great craft for any age of kid. Just put the supplies in your kids’ basket to get out and make on the day! 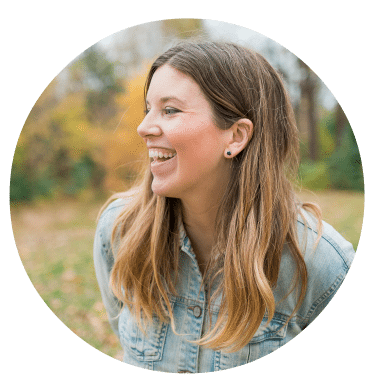 My kids love helping out in the garden, and we want to encourage it! These cute gloves – pink ones here and blue/red ones here – are inexpensive, and such a fun addition to the Easter basket. Aaaand this is where I personally called it done for this year. 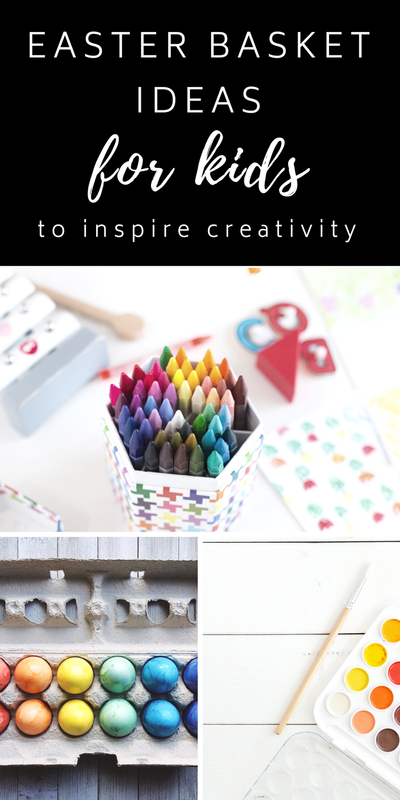 Such a nice group of stuff that was fast to put together, budget-friendly, and fun for the kids! This sparkle collection is so cute and very Easter-y! Who doesn’t love bubbles?! We like the Fubbles ones because you can’t spill all the bubble mixture out. We have a big bucket like this. 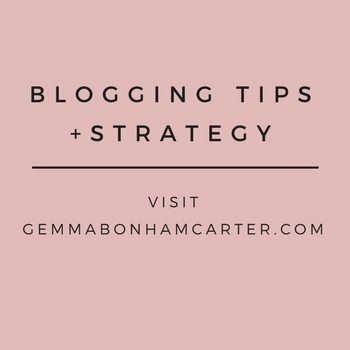 So easy and fun, right?! Let me know if you have any other great non candy Easter basket ideas for your kids’ baskets! 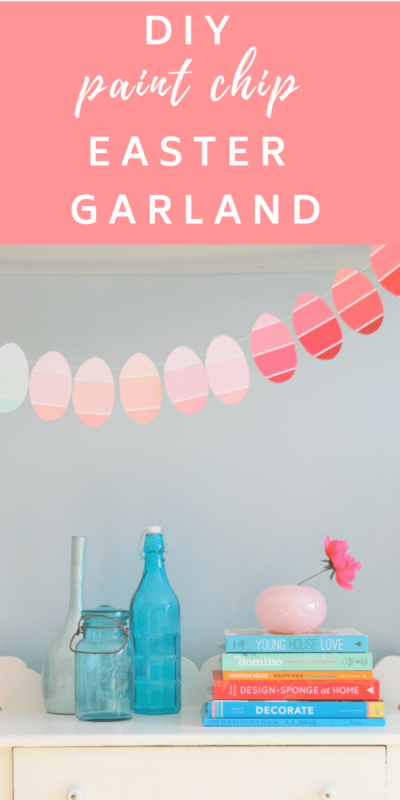 If you have some paint chips laying around, you could also whip up this cute easter garland! It’s a “make it while you watch Netflix” kind of DIY and costs zero dollars. My kind of project.